An original asian-inspired sticker with a representation of the recognized symbol. 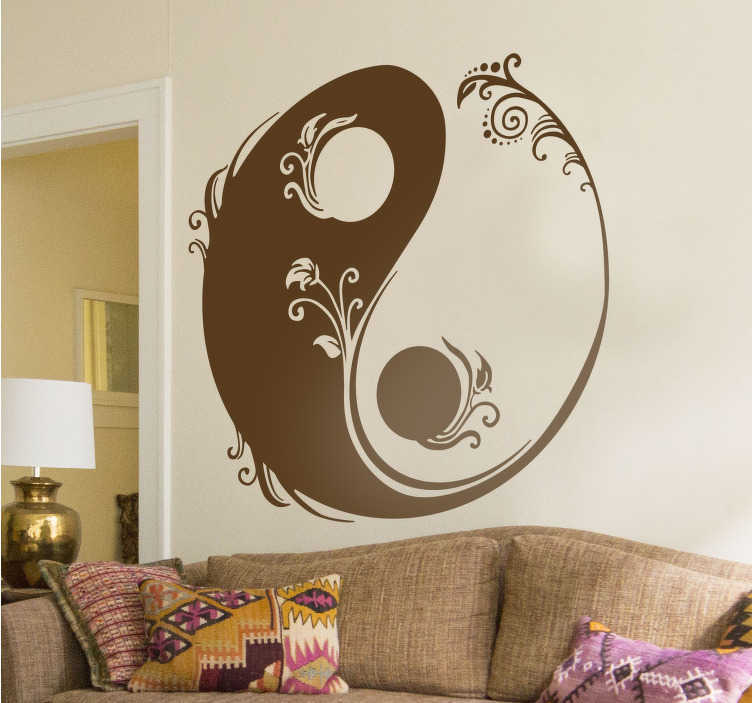 Representation of this Taoist icon that shows the duality of everything: the dark, light, feminine, masculine, good, evil ... great to give an exotic and oriental atmosphere to any room. This design has a floral filigree that gives it an elegant air. A cheap sticker, with a quality and detailed design, easy to apply to your home to provide a positive and different energy.